SKU: WS356. 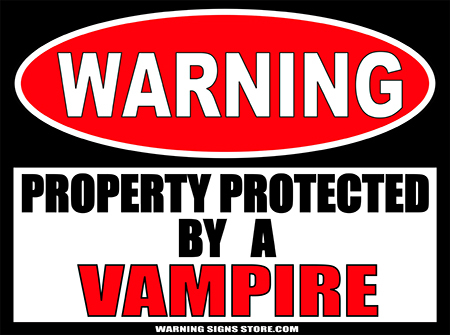 Categories: Novelty Signs, Pet Signs, Warning Signs. 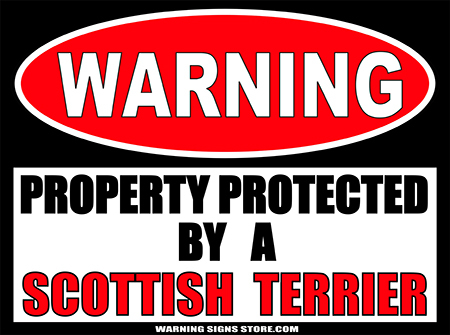 Tags: Aberdeen, dog, Scottie, scottish terrier, terrier, Warning Signs. Also known as Scotties or Aberdeen Terriers. Scottish Terriers hail from Scotland, as if you couldn’t figure that out! Scottish Terriers are territorial, feisty dogs and so they make a good watchdogs. But they’re also strong-willed! Let people know you’re got a Scottie guarding your stuff! This Property Protected by a Scottish Terrier sticker measures out to approximately 4.5″x6″. It is printed in a glossy finish with eco-friendly inks on a premium vinyl polymer. Our inks are UV resistant and designed to last 7-10 years, indoors or out.